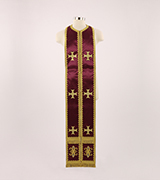 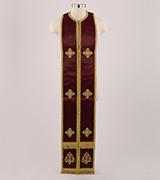 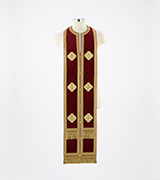 Gold brocade epitrachelion with burgundy outline. 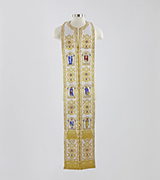 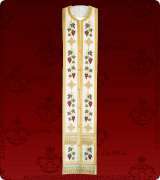 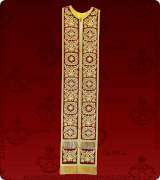 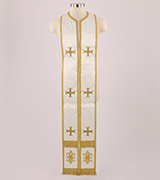 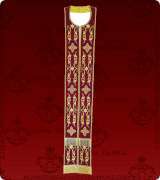 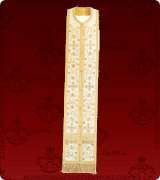 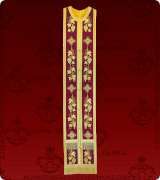 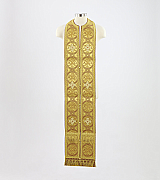 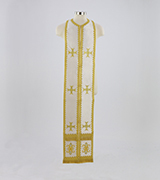 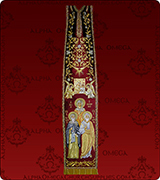 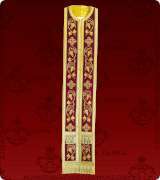 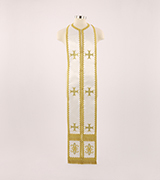 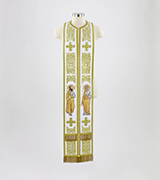 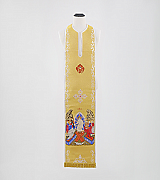 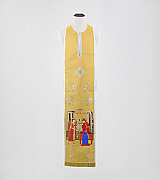 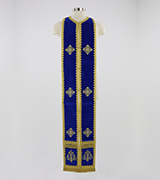 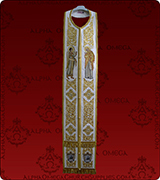 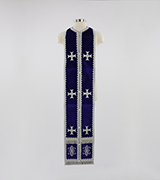 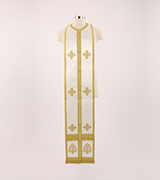 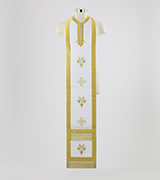 Woven white and gold epitrachelion featuring Icons of saints. 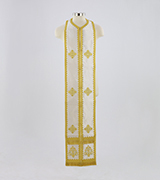 Woven white and gold epitrachelion with elaborate details. 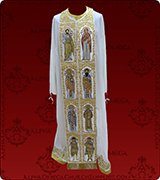 Embroidered Russian style epitrachelion in white and gold. Crimson brocade epitrachelion with gold accents. Purple brocade epitrachelion with gold accents.